Great, limited tread life warranty. Experience real driving excitement for up to 75,000 miles. New g-Grip™ interlocking sipe technology and an all-season tread design. Provides excellent all-weather traction and crisp handling that enthusiasts demand. Deep, wide circumferential tread grooves. Designed to provide maximum hydroplaning resistance. Non-directional tread pattern. Offers ease of maintenance and increased tread wear life. g-Wedge™ sidewall stabilizer (H/V series only) and rigid shoulder blocks. Reinforcement where it counts, for a comfortable ride and predictable handling. 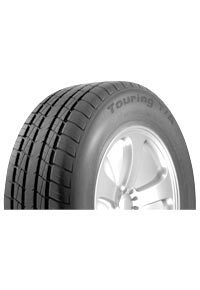 Great tires, Excellent traction, Wears and Rides great will buy again! These tires were very average in their performance and wear. Hydroplaning was always an issue in heavy rain. Would also not recommend for any amount of substantial snow. I have had these tires before. They seem to hold up well. We recently replaced all 4 tires, and I am very satisfied with my new tires. Bought these tires used and they worked great. I would buy this tire again. Great value for the money. I was confident enough in this tire to have put them on my son's first car. Very good tires. Would definitely buy again. Albuquerque Tire offers the best Tire Brands, such as Michelin, BFGoodrich, Uniroyal, and more to Albuquerque, New Mexico and the surrounding areas. Whether you need new tires or used tires in Albuquerque, check us out first! Albuquerque Tire is also proud to offer automotive services such as brake work, wheel alignments, and axle/CV joint/driveshaft repairs.